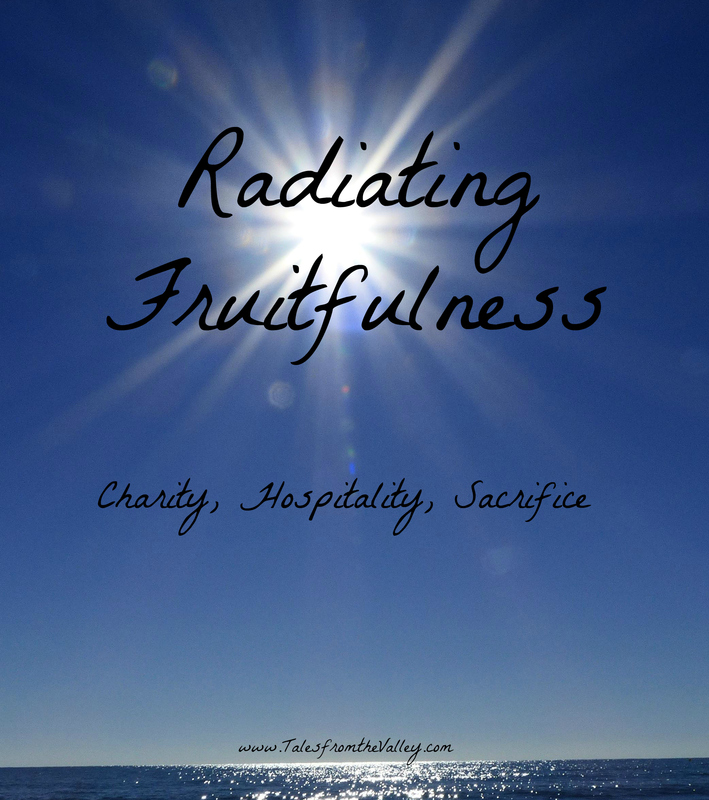 In this series, we’ve been exploring what it means when the Catechism states that all marriages can “radiate a fruitfulness of charity, hospitality, and sacrifice.” If you missed the beginning, check out part 1, Radiating Charity. What does hospitality mean, anyways? Let’s start with the Google definition. The Old Testament includes a number of stories that illustrate the sacred nature of hospitality. Angels disguised as house-guests are a recurring theme, and God continually rewards the generous heart. These stories reflect a culture in which hospitality was held as a sacred virtue. We see this lived out in the life of Jesus. There are many stories of him visiting people and having dinner at their homes. We know he ate with Levi, Zacchaeus, Peter’s in-laws, Mary and Martha, a Pharisee, and many others. Much of his teaching was delivered over a dinner table. His first miracle was supplying wine to a wedding feast. Another miracle involved feeding 5,000 people. He made breakfast for his friends after his Resurrection. The night before he died was spent breaking bread with the apostles, giving his own flesh as bread for the life of the world, and commanding them to “Do this in memory of me.” Jesus invites us to his table, where he gives himself to us in the form of bread. At our wedding homily, the priest talked about how heaven is described as a wedding feast. It’s everyone together, happy, celebrating and full of love. Only minutes old, our marriage was already fruitful in that it was bringing all those people there together. This continues, not only in the parties we host or the dinners we share, but in our desire to let our home be a safe harbor for others. I really do believe that “radiating a fruitfulness of hospitality” means that the love you share spreads to create a welcoming environment for those around you. Just like the dinner scenes in the New Testament, your new family (even if it’s a family of two) can be a place where others can experience the warmth and healing comfort of God’s love. When two people marry, their home becomes each other and the love that is shared between them. Marriage brings forth a new life, one that is designed to be open and welcoming. The grace of the sacrament fosters an environment for sharing, visiting, and loving one another. This is how marriage radiates a fruitfulness of hospitality. Loving this series, Connie! This is so affirming to read. Thank you so much, Connie, for your words. My parents were amazing examples of hospitality – it truly is a gift from God! You’re welcome. And thank you for reading. I hope my husband and I can be a great example someday too.